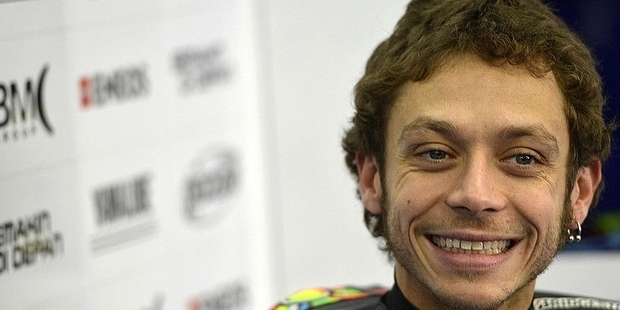 Valentino Rossi was born on February 16, 1979 at Urbino, Italy. His father was a former motorcycle racer who encouraged his son to take up racing. Rossi took to karting at a very young age. At the age of five, he was riding a kart with a 100cc motor. At the age of 11, he won the regional kart championships in 1990. Next he finished an impressive 5th at the national kart championships at Parma. Rossi was looking into going into the European series or the Italian 100cc competitions which would lead him to Formula 1. 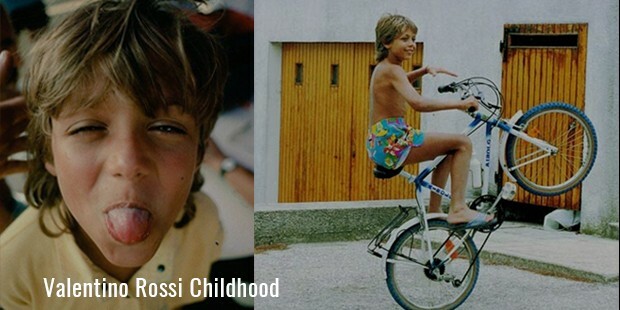 But Rossi shifted to minimoto, because of the high costs of racing karts which his father could not afford. 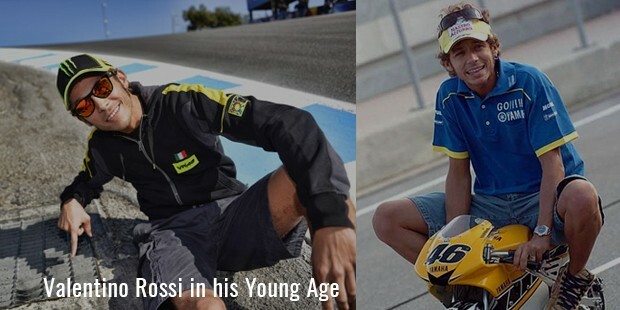 Now Rossi was solely focused on minimoto racing and soon learned the various facets of the sport during 1992 and 1993. He was given a chance to drive in the Cagiva Sport Production team in the Italian 125cc Championships. In his first season, Rossi had mixed results expect the last race where he was able to register pole position and finish in the top three. 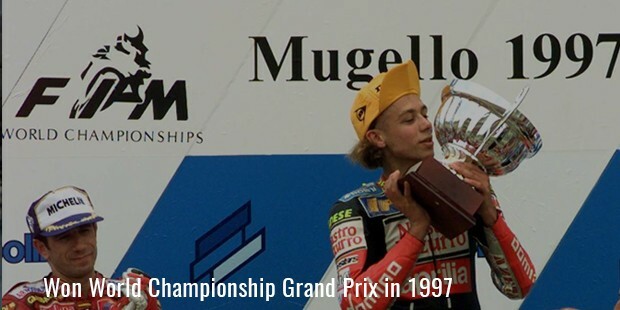 In 1994, he produced very impressive results to win the Italian 125cc Championships by a handsome margin. He participated in the 1996 World Championship season, but ended up by crashing numerous times and was unable to finish 5 of the races. But this experience helped him get better control of the vehicle and in 1997; he ended up winning 11 of the 15 races and World Championship Grand Prix. In 1998, Rossi was promoted to the 250cc, where he finished the first season in second position just shy of the title by 23 points. But Rossi would not miss his chance the second time. In 1999, he won the Championship in the 250cc by reaching pole position 5 times and winning 9 times. In 2000, he was upgraded to the highest category in motor racing, the 500c. In his first season with team Honda, he took nine races to register his first victory. But he put in great performances to finish 2nd behind Kenny Roberts of U.S. In 2001, Rossi showed his class by winning his first 500cc World Championship with a total of 11 race wins. In 2002, MotoGP was upgraded with the new 990cc four-stroke engine. 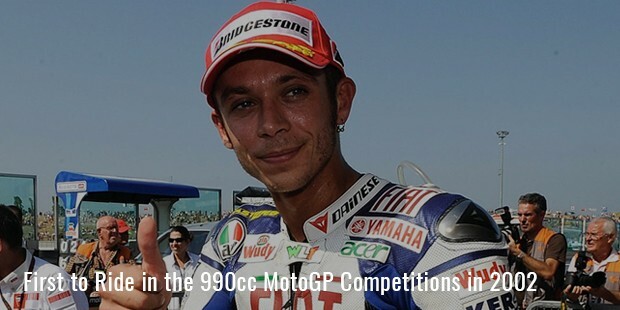 So now Rossi was among the first drivers to ride in the 990cc MotoGP competitions. Rossi did not face any problem adapting with the speed and maneuverability of these new bikes. He went on win the first race of the season and went on become the first World Championship in this class with a total of 11 victories. Again in 2003, he went to win the Championship by registering 9 pole positions and 9 race wins. 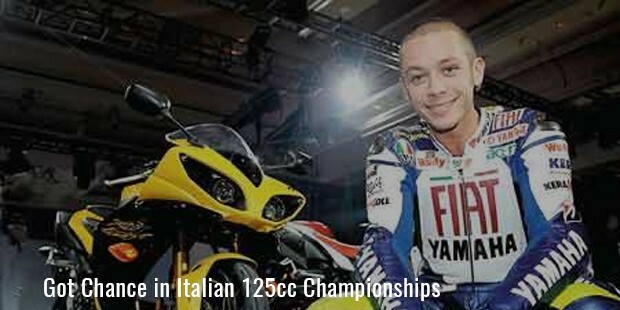 Rossi shifted to Yamaha in 2004 for a pay of $12 million a year. Again the same story followed, Rossi ended up winning the title in 2004 and 2005 with a huge margin. He had won his 5th MotoGP title and his 7th overall World Championship. In 2006 and 2007 he went on to secure 2nd and 3rd positions respectively. But he came back with a bang to win the 2008 and 2009 MotoGP World Championships. As of 2013, in MotoGP he holds the record for the highest number of wins with 80 and number of podium finishes with 147. He is one of the highest-paid athletes in the world with average yearly earnings in excess of $35 million. He is unanimously considered as the greatest bike racer in the history of motor sports.